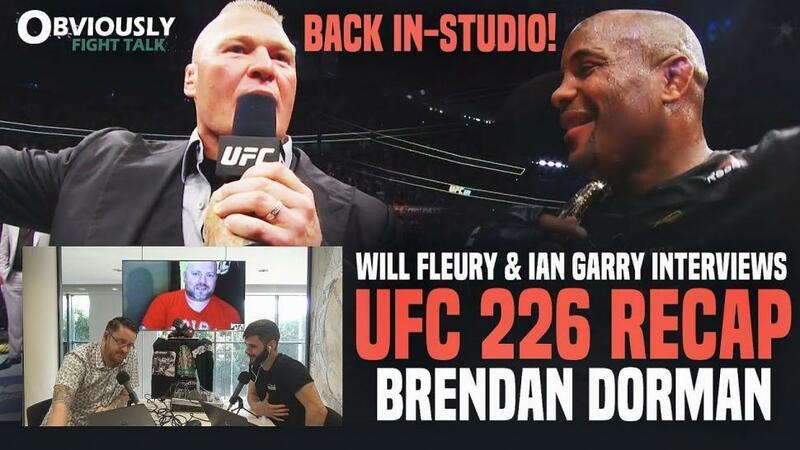 We’re BACK in-studio for a UFC 226 RECAP & in-depth post-fight analysis with MMA Analyst Brendan Dorman; including our reaction to Brock Lesnar’s UFC return and an analysis of Daniel Cormier‘s historic UFC heavyweight title win. Plus, interviews with Irish MMA prospects Will Fleury and Ian Garry. We breakdown the big fights from last weekends UFC 226 card; discuss whether Daniel Cormier’s eye pokes should be assessed further; talk about Francis Ngannou’s underwhelming return against Derrick Lewis and answer whether he is mentally broke ; plus more. We then interview SBG Ireland’s Will Fleury who makes his Bellator MMA debut this weekend in Italy. He talks about his journey to Bellator and predicts a quick finish. We also welcomed SBG Swords hot prospect Ian Garry onto the podcast for the first time. Training under Irish MMA pioneer, Garry tells his story of how he started MMA, transitioning from boxing and judo, and much more.